In the News: Safety communicat..
Tennessee women who expanded opportunities for all women are the focus of the next edition of the “MTSU On the Record” radio program. Host Gina Logue’s interview with Dr. Mary Evins, associate professor of history at MTSU, will air from 8 to 8:30 a.m. Sunday, Dec. 8, on WMOT-FM (89.5 and www.wmot.org ). 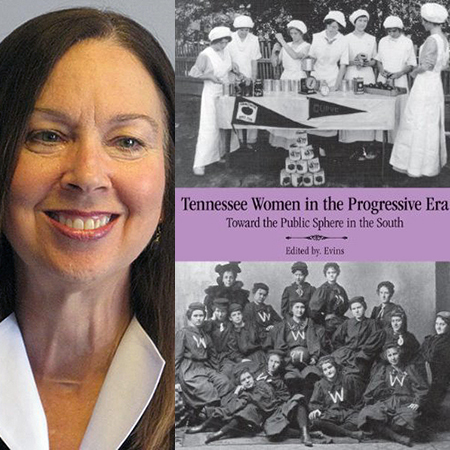 Evins is editor of “Tennessee Women in the Progressive Era: Toward the Public Sphere in the New South,” a collection of essays about women who stepped outside the home and expanded women’s roles in society from the 1870s to the 1930s. Chapters in the book cover anti-lynching activists, pioneering women athletes, African-American women teachers in Nashville and Memphis, the temperance movement in Tennessee and canning clubs that empowered Appalachian women to improve both their family’s diets and their household incomes. “I’m so thrilled that the young women at MTSU today and across the country are being exposed to the ideas that expand and broaden what history is all about,” Evins said. In addition to Evins’ chapter on women educational administrators, Dr. Janice Leone, associate dean of the MTSU College of Liberal Arts, contributed a chapter on the work of the Women’s Missionary Council of the Methodist Episcopal Church, South.